Megan McCain disses the Tea Party Crowd……and her Dad?…..
McCain’s daughter, Meghan, God love her, has entered into the Tea Party fray, too. Sure, Tancredo dissed her daddy, but given her history as “Miss Independent,” far from being her father’s political puppet, I wouldn’t be too quick to assume her latest comments are mere posturing. Larry 'Pants on the Ground' Pratt …on "The View"…..
Here’s a YouTube clip of the old timer, on “The View”, who’s been through a little bit, on his walk to stardom…..
Here’s the link….he sure knows how to have fun with the ladies…..
And this guy won his meal ticket already!……. 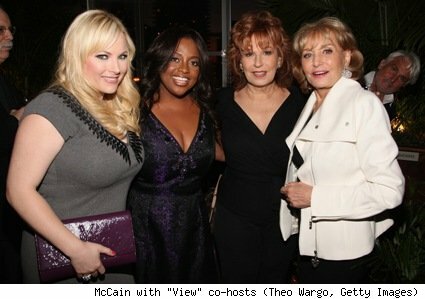 Larry ‘Pants on the Ground’ Pratt …on “The View”…..